Using ingenuity to overcome its serious water challenges, Israel has become the go-to expert for a world facing an impending water crisis. 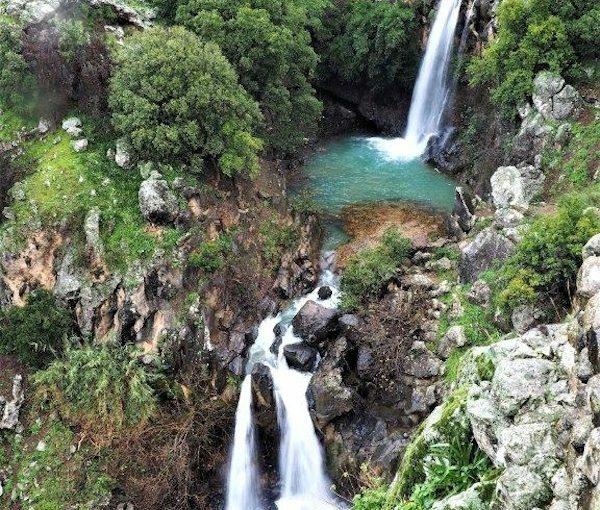 To celebrate World Water Day on March 22, Israel21c took a look at 10 of these innovative water projects, and Israel’s leadership role. 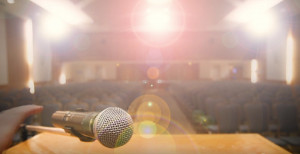 This year’s WATEC expo and conference, to be held in September in Tel Aviv, is expected to attract 10,000 stakeholders from 90 countries seeking Israeli solutions for water issues. Israel exports $2.2 billion annually in water technology and expertise. In addition, these commodities are shared on a humanitarian basis through training courses, consultations and projects. Keren Kayemeth L’Israel-Jewish National Fund (KKL-JNF) often hosts delegations from around the world – most recently, from California, Argentina and the European Policy Centre – to see how Israel’s system of treatment facilities and 230 reservoirs has achieved the world’s highest ratio of wastewater reuse. About 92% of Israeli wastewater gets treated and 75% is used for agricultural irrigation. Israel plans to recycle 95% of its wastewater for irrigation by the end of 2025. “During the 1980s, recycling wastewater was a revolutionary concept and many people were skeptical. Today, nearly half of the irrigation in Israel comes from recycled wastewater,” said KKL-JNF development project director Yossi Schreiber. Israeli water-tech companies are planning and building agricultural and municipal water infrastructure in countries including Angola, Ghana, Serbia, China, Spain and the United States. Here are 10 recent examples. 1. The nonprofit group Innovation: Africa won a United Nations award for transforming lives in seven African countries using Israeli technologies, such as Netafim irrigation systems, that enable farmers to grow more crops with less water; and solar energy systems that pump water from aquifers, saving villagers (mostly women and children) countless hours previously spent finding and fetching water. 2. IsraAID launched its WASH (Water, Sanitation and Hygiene) project about four years ago to tailor-make solutions for communities from Fiji to Haiti to Myanmar. In the rain-dependent South Pacific island nation of Vanuatu, a March 2014 cyclone contaminated reservoirs and destroyed water-harvesting systems. Among other steps, IsraAID strategized the engineering of a low-tech gravity system, built and maintained by locals, to bring water from mountain springs down into two villages encompassing more than 600 people and one school. IsraAID is working with the World Bank to construct three more gravity systems. In Kenya’s Kakuma Refugee Camp and Uganda’s Gulu township, which struggle with waterborne disease and water contamination, IsraAID trains unemployed or underemployed people to be water technicians. Graduates work with local nongovernmental organizations or water companies, or start their own businesses, to contribute their new expertise in anything from drilling wells and building latrines to teaching hygiene. 3. A massive landslide in September 2015 damaged a major irrigation canal partially built by Israeli NGO Tevel b’Tzedek in an impoverished Nepali village. Tevel staff repaired the damage with funding from the Rochlin Foundation and Jewish Coalition for Disaster Relief, and worked with the local water council to strengthen the canal walls, reestablishing and assuring water supply to 224 households (about 1,300 people) and subsistence farmers. Also in Nepal, Tevel is fighting the effects of flash floods – which deplete water available for drinking and irrigation – by building irrigation pools and setting up zero-water-waste systems enabling villagers to conserve water through Israeli methods, including drip irrigation learned by Tevel’s native Nepal director at Ben-Gurion University of the Negev. Tevel also is teaching village farmers less water-intensive professions, such as beekeeping. 4. 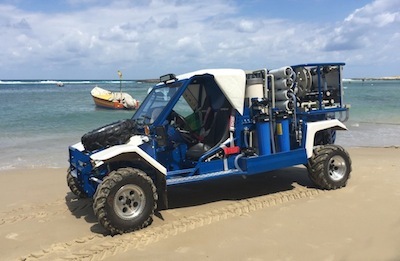 Israel’s Ministry of Foreign Affairs (MFA) has partnered with Caesarea-based GAL Water Technologies to provide free water-treatment products to African nations for more than 20 years. In 2016, MFA donated GAL mobile water purification, storage and distribution vehicles to drought-stricken Papua New Guinea and to the Pacific Marshall Islands. 5. Earlier this month, the MFA’s MASHAV-Israeli Agency for International Development Cooperation established the Kenya Israel Drought Resilience Agriculture Centre to help in capacity-building with the latest Israeli irrigation and water-resources management know-how. 6. MASHAV’s special envoy for water and food security went to Swaziland this month with the director of overseas training, programs and research at MASHAV-affiliated Centre for International Agricultural Development Cooperation to conduct a water survey by request of Swaziland’s prime minister. The experts are identifying possible areas of cooperation in combating drought and a shortage of water for agriculture. 7. Following a May 2016 earthquake in Ecuador, IsraAID brought a new Israeli water-purification technology from NUFiltration to several affected villages. Instead of having to buy bottled drinking water, residents can use the NUF system to turn washing water into purified drinking water without electricity. NUF was first piloted by the company in Ghana as a humanitarian project to prevent diseases from contaminated water. 8. The Tel Aviv University chapter of Engineers without Borders designed and built a rainwater collection and purification system in a Tanzanian village where the drinking water had dangerously high amounts of fluoride. Since the project was finished in 2014, it has been supplying safe drinking water to more than 400 children daily. 9. The Technion Engineers without Borders chapter designed and implemented a safe drinking-water system serving more than 600 Ethiopian schoolchildren in a rural village with no reliable source of water for drinking and handwashing. The Israelis taught the older children how to maintain the system and treat the water, and continue to provide support to assure a safe and sustainable water supply. 10. In June 2015, the Israeli Ministry of Economy committed $500,000 to the World Bank Group’s Water Global Practice to help developing countries overcome complex water security challenges. The agreement has included two years of study tours and other activities for World Bank staff and officials of various governments. Desert living is tough. The toughest part of it is having water fit for consumption. Nobody knew this better than the Nabatean people. The desert was their home. Some 2,600 years ago, the Nabateans daringly accepted the challenge of finding and supplying water to their people. They did this by building desert towns with life-sustaining water systems. Archeologists and hydrologists have studied the waterworks at the Nabatean town of Petra. 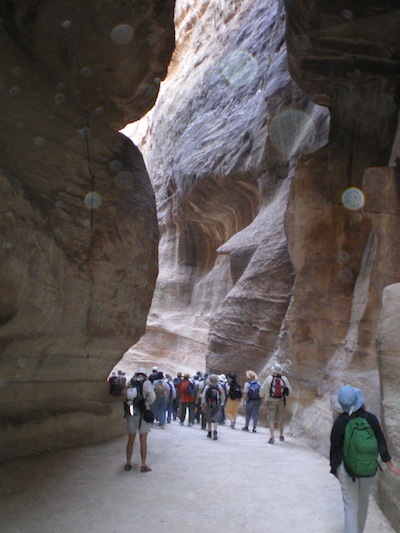 They report that Petra stood in a huge desert canyon, in what is today the country of Jordan. This area receives little rain. Petra gets only about six inches of rain a year. Temperatures go from a low of 34°F to a high of 94°F (1.1°C-34.4°C). For about half the year, the daytime temperatures are quite high. Yet 30,000 people once lived in Petra. Petra is far from any ocean, sea, river or lake, but the Nabateans did not lack for water. Three things made this possible: the Nabateans had very smart water engineers, they had skilled builders and they had talented water managers. The engineers’ biggest worry was getting Petra to save as much water as possible. So, first, they designed a water system covering the whole city. The system collected a maximum amount of water from two sources: from rain and from local springs. The engineers had several considerations. For instance, they had to worry about the ups and downs of yearly rainfall. They had to take into account the ups and downs of temperature. And they had to overcome the ups and downs of Petra’s mountainous surroundings. The engineers also had to lower the risk of the system getting blocked. They realized that water pipes that ran along the side of a mountain would be hard to clean. Thus, they designed special water filters. These filters made it easy to trap and remove rocks or silt. If there were particles, they would settle in the reservoirs, not in the pipes. The engineers’ design was practical. It functioned throughout the year and, importantly, provided for a lot of water storage. It included crisscrossing water pipelines, channels, dams, tunnels, reservoirs and cisterns (totaling some 200 surface and underground units). When looking at Petra’s water system, it is important to note how it was built. There were no motorized digging machines or hauling trucks, of course. All work was done by hand. The chisel was probably the most commonly used tool and, with this simple tool, builders carved an amazing water system. Water managers had to maintain good water pressure and water flow. Too much pressure, for example, would cause a pipe to break, and that would result in wasted water. The managers’ goal was to maximize flow while minimizing leakage. They did this in part by operating a partial flow of water. Also to reduce water leakage, the water managers used a particular kind of pipe. This pipe was often made from clay baked at high temperatures; it was short, with thin walls. Even with this innovation, Petra’s mountains and its irregular rainfall and temperatures must have meant that water managers were always on the alert. And, sometimes, they were really “put to the test” – for example, when a large camel caravan entered Petra. When a large group of dusty and thirsty traders and animals arrived, it meant one thing: a sudden increase in the demand for water. Water would be needed for drinking and bathing. For such situations, water managers needed to ensure that back-up water sources were working. In times of real emergency, the Nabateans had numerous storage centres. Scientists figure that some sites held three weeks’ emergency supply while other sites held several months’ supply. Thus, inhabitants had some insurance against a siege or drought. Scientists have estimated that about 12 million gallons (or more than 45 million litres) of fresh spring water ran through Petra’s water channels daily. Water was relatively plentiful and also accessible – residents could easily reach the water that ran into nearby fountains. 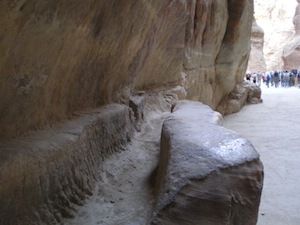 The Nabateans also traveled through present-day Israel. Along what is today recognized as the UNESCO World Heritage Incense Route, the Nabateans established forts and settlements. In agricultural communities such as Shivta, they “captured” rainwater to grow grapes for wine production. Both in travel and at home, the Nabateans’ water systems were as complex as they were practical. Even in ancient times, they overcame the harshness of desert living. They harnessed its unpredictability and thrived. EcoPeace was created by Gidon Bromberg some 22 years ago after he made the connection between ecology and the lack of cooperation between the region’s various authorities regarding water issues. At the time, he was studying for a master’s in environmental law in Washington, D.C. When he returned to Israel, he organized the very first gathering of Israeli, Palestinian, Jordanian and Egyptian environmentalists. On the second day of the meeting, in December 1994, an agreement was struck to create EcoPeace Middle East. Bromberg has been working together with Jordanian Munqeth Mehyar since then and Palestinian Nader Khateeb since 2001 to create an Israeli-Jordanian-Palestinian organization dedicated to environmental peace building, primarily through water diplomacy, and to the advancement – through both top-down advocacy and community-led grassroots work – of cross-border cooperation concerning shared water resources, pollution issues and sustainable development issues. Half of their programming is bottom-up community work through the Good Water Neighbors (GWN) project, now into its 15th year of operation. “The second half of our work is advocacy aimed at influencing the Israeli, Palestinian and Jordanian governments, as well as at garnering support from the international community in advancing dialogue and cooperation between them,” Bromberg told the Independent. The underlying assumption behind their efforts on all fronts is that regional cooperation is in each party’s best self-interest. “As altruism is not a common feature of foreign policy, particularly not in the midst of conflict, speaking to the self-interest of each side enables us to create political will for cooperation that ultimately serves the region as a whole,” said Bromberg. 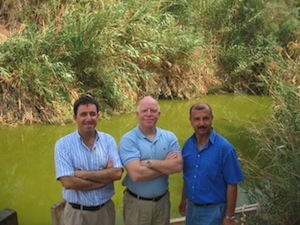 Over the years, EcoPeace’s major areas of work have been focused on the rehabilitation of the Jordan River; a regional plan for sustainable development in the Jordan Valley; water and the peace process; Gaza’s water, sanitation and energy crisis; the water-energy nexus in the region; and the Red Sea-Dead Sea conduit. 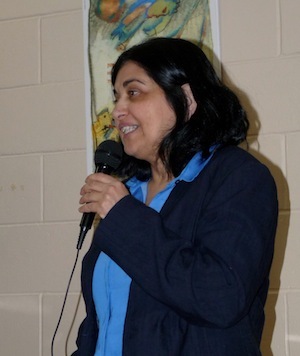 Since its establishment, EcoPeace Middle East has seen many periods of extreme hostility and bloodshed in the region but, in the midst of that, has been able to make headway. At the community level, EcoPeace holds many cross-border youth gatherings every year, wherein kids not only learn about the interdependency of their and their neighbors’ water reality, but also about each other, in an effort to break down negative stereotypes. One of the biggest achievements of EcoPeace in terms of bringing together people from the three countries has been the facilitation of relations between Jordan Valley mayors, who have rallied together to demand joint governmental cooperation toward rehabilitating the river. “As far as positive ripple effects, very much due to our work, there is a growing realization amongst the various stakeholders, including decision makers, that regional sustainable development is crucial for geopolitical stability and for security in the region, for economic growth, public health and other aspects of life in the region,” said Bromberg. EcoPeace’s notion of water as a political game changer in the region, for example, is slowly but surely becoming a part of the political discourse. Nonetheless, by mid-2013, following years of advocacy by EcoPeace and others, the IWA released nine million cubic metres (mcm) of water into the river, committing to raise this volume to 30 mcm in the near future. This is only a drop in the bucket, however. Based on research commissioned for the project, the estimate is that 400 mcm overall is required to rehabilitate the river – and not all from the Sea of Galilee, which is in Israeli territory, but also from Jordan and Syria. This is a very important first step, said Bromberg, who is certain of EcoPeace’s ability, with the help of many partners, to convince the relevant decision makers to allow for more significant volumes of water to flow into the river. Bromberg believes that, through providing youth in each of their communities with opportunities and cooperation with their neighbors, even this complex environment can be overcome. For more information, visit foeme.org or facebook.com/ecopeacemiddleeast.